The House of Representatives voted 405-16 to repeal the 3 percent withholding tax on certain payments made to vendors by government entities. 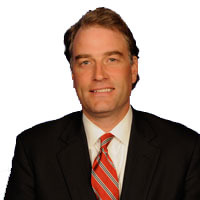 Fifth District Republican Robert Hurt voted with the bipartisan majority in favor of the repeal, which has the support of the Obama administration. “The House passed another element of our jobs agenda that would repeal a burdensome tax rule to help put capital back in the hands of our job creators at a time when they need it most,’ Hurt said. “In addition to the dozens of House-passed jobs bills, this commonsense legislation would help return certainty to the marketplace, promote economic growth, and spur job creation. “The House has made every effort to find those areas of common ground where both parties can join together to produce results for Fifth District Virginians and all Americans, and with the broad bipartisan support for this legislation that includes the White House, the Senate should act immediately to pass this bill to help grow the economy and create jobs,” Hurt said.